Galicia is a natural paradise and a unique enclave. 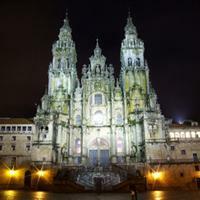 If you live in Galicia or have ever visited, we encourage you to vote for the cities or towns you liked the best. This ranking lists the cities and towns located within this region of Spain. This ranking can serve as a source that informs which places in Galicia are worth visiting, whether urban or rural. Please try to be as objective as possible and not assign the maximum number of points to your hometown. This way we can avoid having the biggest and most populated cities always win, and give a fair chance to the small but beautiful towns of Galicia.